Over 20 years in business - Established & Profitable Play It Again Sports Franchise for Sale in Fayetteville. Play It Again Sports has been in the Fayetteville area since 1997 and has developed a positive reputation in the community. The new owner will assume a lower royalty until 2024! 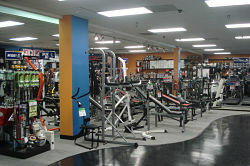 The Fayetteville location produced over 1 million dollars in sales from 2006-2012. With system average sales brand wide of over $800,000, there's excellent room for a new owner to step in and grow sales! The Westwood Shopping Center is located near the mall and Skibo Rd. The All American freeway runs beside the store which is a great place for a billboard. The retail is very strong in this area. In 2014 the owners installed new flooring and a computer system. In 2017 they upgraded the heating and HVAC system. Current owner is selling as they wish to retire.